Karl Middlebrooks Electro-Industrial, EBM I'm always glad to see artists from my home state of Texas releasing music. Living in a town where pop country is everywhere, it's easy to forget that not only has Texas bands have produced some great industrial music, but that plenty of Texas bands continue to emerge from this country hell. One of these Texas groups is a duo called Fear Project, who recently put together a 4-song demo of electro-industrial for Synthetic Rage. 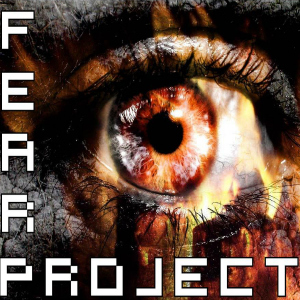 According to their Facebook page, Fear Project came together in late 2011, so they put together a demo pretty quickly after their inception. As a demo, this release has some good moments. Taken together, the 4 songs have good driving beats, distorted vocals, sampling, and some good synth and bass lines, as I'd expect. Individually, the songs have their own strengths and weaknesses. The first track, "Losing You" opens with a great beat and instrumental hook, and has a very classic feel and sound to it all the way through; I'd expect this track to get plenty of DJ play. Similarly, the track "The Last Time", which contains a surprisingly positive message about not letting negative people and events drag you down, has a lot going for it. "Infection" goes for a whispered, very rhythmic vocal approach. I love it when bands can pull this off and make the vocal part of the rhythm of the track, but this track doesn't always put it together well; during the chorus, especially toward the end of the song, the quick vocal delivery gets out of sync with what's going on elsewhere in the track, which happens a couple of places on "The Last Time", too. That said, if Fear Project could tighten up the vocals and synth line and get them a little better in sync, this would easily be my favorite track. The demo closes with "I'll Make You Beg", which has samples, sweeping synth lines, and lyrics that are vaguely reminiscent of something Lords of Acid would put together, if a little more sparse in its instrumentation. I think if this track were a little higher BPM, it could easily be a dance floor favorite. I'm always glad to see artists from my home state of Texas releasing music. Living in a town where pop country is everywhere, it's easy to forget that not only has Texas bands have produced some great industrial music, but that plenty of Texas bands continue to emerge from this country hell. After listening through the demo a couple of times, I'd like to see these guys tighten up the vocals on "Infection" and in a couple of other places where the vocal timing is off a little. There are typical demo-related issues, where I feel like the different elements of the tracks could be blended together better or thickened up a bit, too. Even so, Fear Project has a lot of the right elements put together in this demo, as showcased in "Losing You"; the beats and music are solid and I look forward to seeing what they can put together next.